D’Ontace Keyes was born on March 26, 1990. He is an artist, philanthropist, visionary, and creative. Born D’Angelo-D’Ontace Tre’Maine Keyes, Keyes is a native of Chicago, Illinois, the son of Lake Keyes, who was a military man, and his mother, Debra Jackson, a nurse. As a child, Keyes was abused by his mother, and raised fatherless. When he was twelve, Keyes was placed in foster care, and spent all of his teen years as a foster child. Keyes attended several primary schools, including Langston Hughes Elementary School. For high school, he first attended Hillcrest High School, and participated in the drum line and school choir. Keyes sung as a child in church and loved music. In his sophomore year, after auditioning to attend the Chicago Academy for the Arts, Keyes was awarded full tuition, and graduated in 2008. Following high school, Keyes moved from Chicago, and enrolled at the University of the Arts in Philadelphia, Pennsylvania, where he obtained his Bachelor of Music degree in vocal jazz studies in 2012. He returned to the University of the Arts for graduate studies in music education and performance in 2013, and received his MBA in marketing from Philadelphia University. At the Chicago Academy for the Arts, Keyes practiced his craft as a classical and jazz vocalist. During the same time, he got connected to the Youth Pride Center, where he began his community organizing work as its event coordinator. In college, Keyes was very involved with the Student Services Department as a community advisor and orientation leader. He also founded the student organization Peer Support, Peer Education (PSPE), which was instrumental in introducing HIV/STI screening and resources on campus, in addition to fundraising. Because of his community service efforts, Keyes won many education scholarships to pay for tuition, including the Delaware Valley Legacy Fund’s Justin Eng Scholarship, the Tony Sparacino Memorial Scholarship, the Jonathan Lax Memorial Scholarship for Gay Men, and the Urquhart Scholarship. He was the only recipient of every scholarship available for LGBTQ individuals in the city of Philadelphia, and has been the only Black gay man in the city to achieve that distinction. In addition, Keyes is a 2010 Colin Higgins Youth Courage Award honoree; among other accolades received over the years, he holds this one dear, considering Higgins’ connection to the arts and philanthropy. 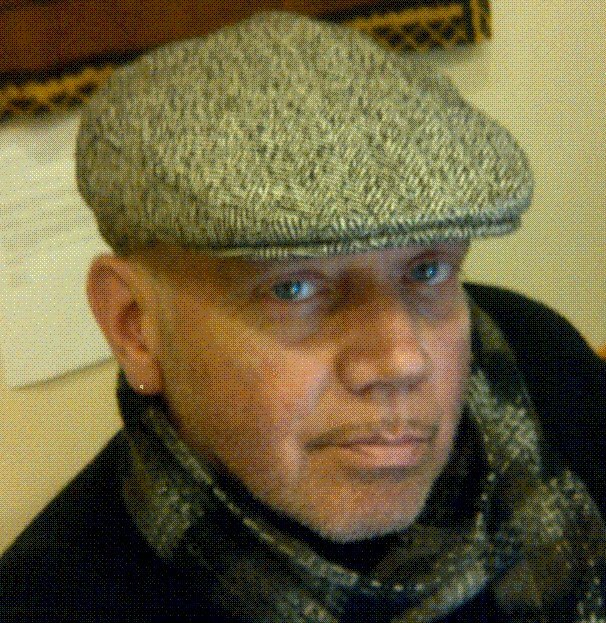 Keyes has a progressive work history in social change programming and development, with noted work in Philadelphia, New York City, and Chicago. He has worked in programming for organizations such as Philadelphia FIGHT, UArts, Harlem United, and Center for Black Equity, just to name a few. His creative development began after a paid internship at AIDS Foundation of Chicago (AFC) working for Jim Pickett in 2011. At AFC, Keyes was in charge of developing content for the gay men’s health blog, Lifelube, and was instrumental in the early stages of content development for the MyPrEPExperience campaign. As chief creative officer for Philadelphia Black Pride, Keyes brought strategy to how the organization creates, delivers, and captures value in content and visibility. In addition to overseeing the brand, he organized the city’s annual celebration of events. Keyes is currently the content producer for MOBI (Mobilizing Our Brothers Initiative), where he works to promote health and wellness in Black gay and transgender communities. We thank D’Ontace Keyes for his contributions to the arts and philanthropy, and for his support of our community. I am a HUGE fan of this extremely talented human!! !